The snow was up to my knees and kept falling as I drove out to Hughes Precision Products, a suppressor company in the small town of Indian River in Michigan’s upper lower peninsula, but I was so excited that I could not feel the biting cold in the air. I was on my way to meet the man who has made his living sculpting metal into an amazing product. 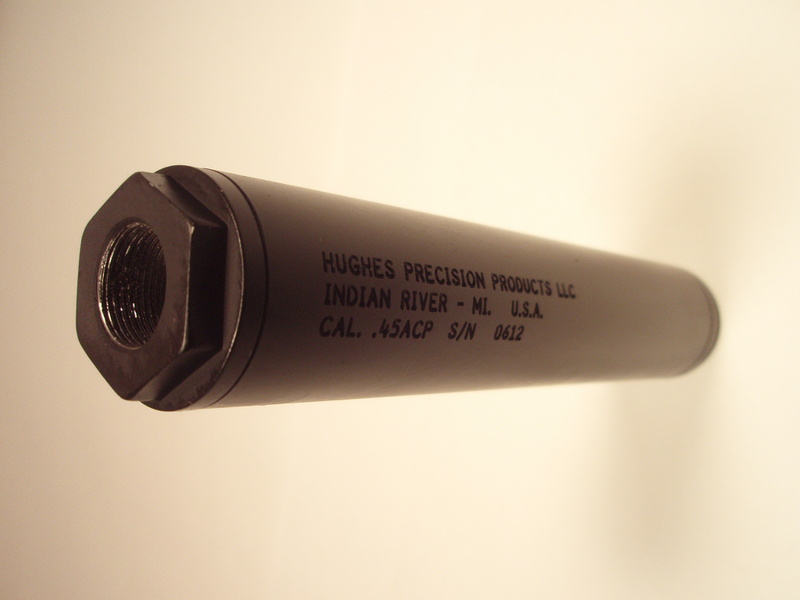 The Cross-X Baffle suppressor. Susan Hughes and their old black lab greeted me when I arrived at the shop. She led me down through the shop, the obvious domain of an engineer. The CNC machines where Bob creates his guns and suppressor as well another area where he repairs and modifies other firearms that are brought to him for repair or improvement. When I walked into the back of the shop where Bob’s office was, he was sitting smoking his pipe and waiting for me. After he offered me an espresso, we sat down and talked about the one thing I wanted to hear about most of all. How on earth did he get started. Before I get into that, let me tell you a bit about Bob, he looked every bit the craftsman I had expected, dressed in his flannel and suspenders, his glasses perched atop his head, he lit his pipe took a couple draws from it then placed in back in his breast pocket. Bob explained he always wanted to work as a home builder, he was working his way through college learning his craft when a car accident changed his life. A broken back changed the direction of his life, and while he would recover, he would not be able to work as a builder again. During Bob’s recovery he had to find something to do, this was not a man who sits on his hands, he explains that his mind is always working, and while his body was on the mend, his father, who owned a tool and die shop put him to work. Bobs, knowledge of building, and new found skills in metal works would help Bob earn his first of many patents a joist for elevated decks. This experience lead Bob down the road that allowed him one huge freedom many of us will never know. Bob would be his own boss. After many years of creating products for Aerospace, to the automotive industry, earning accolades and patents, along the way, as well as a pilots license, and acquiring a dog, Bobs attention turned to his passion. 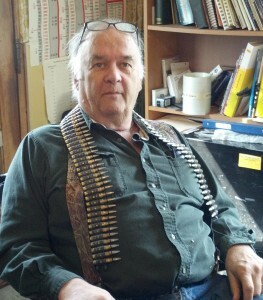 Guns, but as an engineer, his mind seemed never to be satisfied with the status quo. 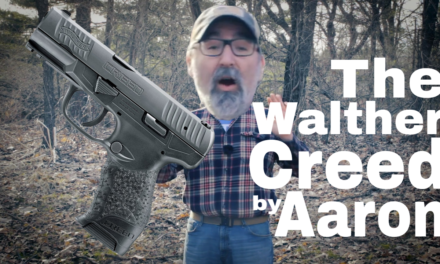 He saw the AR market and thought hey, I can make those, but better. And he did. His firearms and parts, while rare, are things of beauties. His craftsmanship, his attention to detail makes a lot of the pressed and stamped parts that you find on the market today look like they were assembled and created by kids. He however wanted to explore more, something more challenging, and he started to work on suppressors. 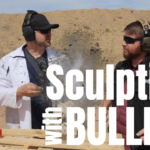 He brought me into his workshop and on the table was over a dozen different suppressors, all of which would hold their own against the likes of the bigger names you see today. These he said are junk. He showed me how they all have simple flaws, but repeated in the industry today, then we moved farther down the table, this is where I saw for the first time, his current model, both in parts, and fully assembled. The unit itself is created from a single piece of steel, milled out and machined on his state of the art CNC machines. Then placed in its case welded closed and ready for production. But let’s be honest, the proof is in the puff and this was the part of the day that I had looked forward to since talking to Bob on the phone. We left the shop portion of his building to his shooting prep area. Here Susan opened up a safe to reveal a cache of fully automatic weapons, and I swear I saw Bobs eyes light up, “what do you want to shoot?” All of them!! Well I did pass on the UZI just because, well it was so 1980’s. One of the features Bob tells me is that his “Cans” can be shot fully auto until they are red hot and it will function just as good as it did when you first put it on. The strength is in the metal and the design. 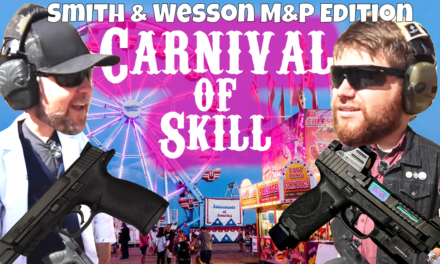 He handed me an AR-15, I took it outside, slid it from safe, to single, to fully auto, and I spent a full magazine with no ear protection on. The gun, while not silent, was quiet enough that I had no issues with my hearing. It was amazing. The gun held true to where I was aiming with very little movement, the suppressor did its job, suppressing the sound, the flash and the kick. I dropped a suppressor on a .45 again, no pun intended, I was blown away. The weight was well balanced, the shots landed true and I was hooked. Full auto 9mm AR rifle, Click, Click, Click, was all I heard. Fantastic! And the same with the .22 pistol. Click, click, click. Bob is a master at his trade. His suppressors rival anything I have seen or shot. His down to earth attitude was something that I found inviting and his constant striving for perfection left me inspired. 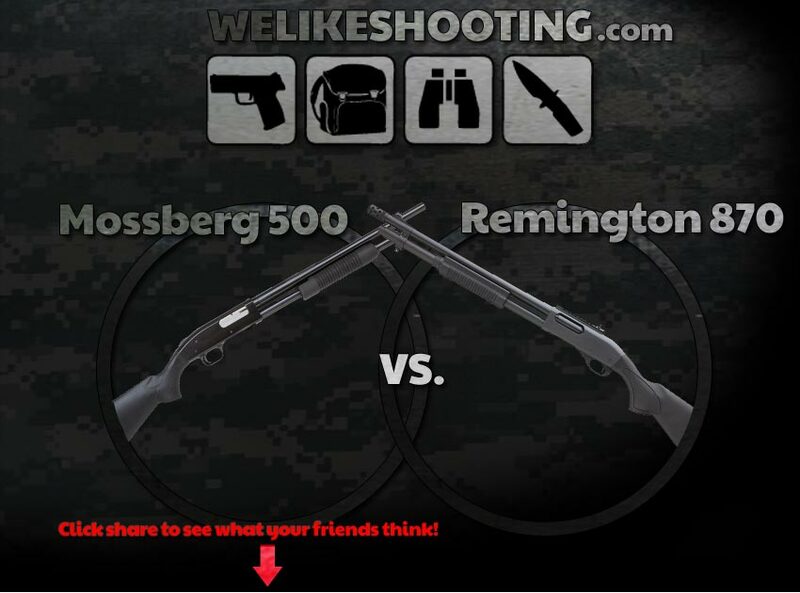 Mossberg 500 or Remington 870?